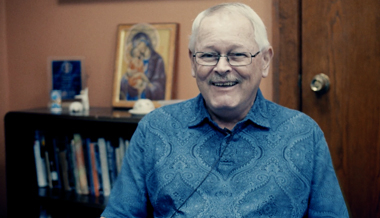 Ronald Rolheiser is president of the Oblate School of Theology in San Antonio, Texas. He received his doctorate at the University of Louvain, and is a member of the Catholic Theological Society of America, the Canadian Theological Society, and the Religious Studies Association of Alberta. Before taking his current position, he taught for many years at Newman Theological College in Edmonton, Alberta. He is a specialist in the fields of spirituality and systematic theology. Ron Rolheiser on good, holy fear versus bad, frightening fear. Ron Rolheiser on experiencing God's dream, growth vs. success, and how we meet God.